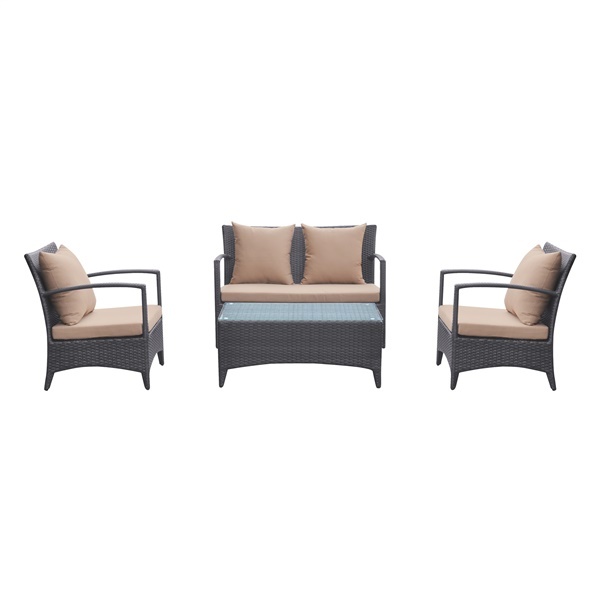 This beautiful 4-piece set is known as the Havana and it’s from Armen Living. This stylish and practical set comes with 2 armchairs, 1 coffee table and 1 loveseat. The loveseat and chairs come with plush cushions to create a comfortable place to sit outside. The whole set is made of aluminum that’s been covered in black powder coat finished HDPE wicker. The table has a top made of tempered glass and complements the other pieces wonderfully.